Legend has it that the love of Prince Vlad Dracula’s life committed suicide during a siege when the odds of winning were slim. 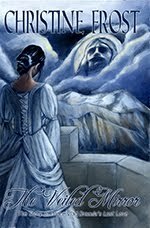 This is the story of Ecaterina Floari, consort to the Wallachian prince who served as inspiration for Bram Stoker’s Dracula. A ruthless warlord in the fifteenth century, Prince Dracula fought valiantly against those who would control the land of his ancestors. As his consort, Ecaterina accompanied him in the turbulent years of exile and discovered an ancient force influencing their lives. Her devotion to him was eternal, and she followed him into immortality. Elena was a restless teen who coveted a posh lifestyle and hated that her village was known for the legend of the infamous Red Witch. Mocked by the upper class who made the Red Witch into a touristy attraction, Elena soon learned how deep her connection to the legend was. Known as “Granía of the Gamblers,” Granía O’Malley makes a high-stakes bet to buy her freedom and the ability to continue her livelihood as pirate queen on Ireland’s west coast. She enters into a dangerous agreement with Queen Elizabeth’s spymaster, Sir Francis Walsingham, and soon finds herself caught up in a web of intrigue that is plunging her country, as well as her family, into chaos. 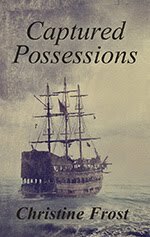 At war with a cruel governor while serving as one of Walsingham’s many spies, Granía struggles to maintain stability within her family and fleet and provide an enduring legacy for her heir to the seas. 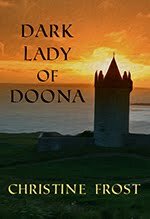 A story full of adventure and passion, Dark Lady of Doonaportrays the life of a formidable woman who defied traditions by commanding her own fleet of ships and leading her loyal followers into rebellion. Ages pass. Civilizations fall. Strange sorceries arise. New stories emerge. From H.G. Wells' "The Time Machine," to Jack Vance's "The Dying Earth," readers have found endless wonder and adventure in stories set at the decline of civilization, or far beyond. Now, Long Count Press presents seven original tales of swords and sorcery set in the aftermath of dead or dying worlds. Take a journey with authors Ian Creasey, Robin Wyatt Dunn, Rhonda Eikamp, Christine Frost, Neal F. Litherland, Michael Mina, and David J. West. 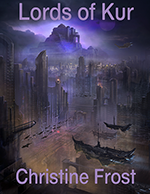 Discover strange new vistas, new worlds winding toward their end, and new stories in the shadows of a fading world. A woman in search of a new beginning arrives in Tombstone, Arizona, as tensions mount between factions. 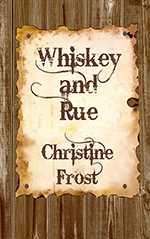 She’s quickly swept up in the rowdiness of the boomtown, surrounded by other lost souls, outlaws, and people seeking their fortune. In her quest to establish an independent life, she makes desperate choices, and ultimately her actions shock the residents of Tombstone in the aftermath of the infamous gunfight at OK Corral.